It's easy to create a charming statement in your bedroom with our Starlet collection. 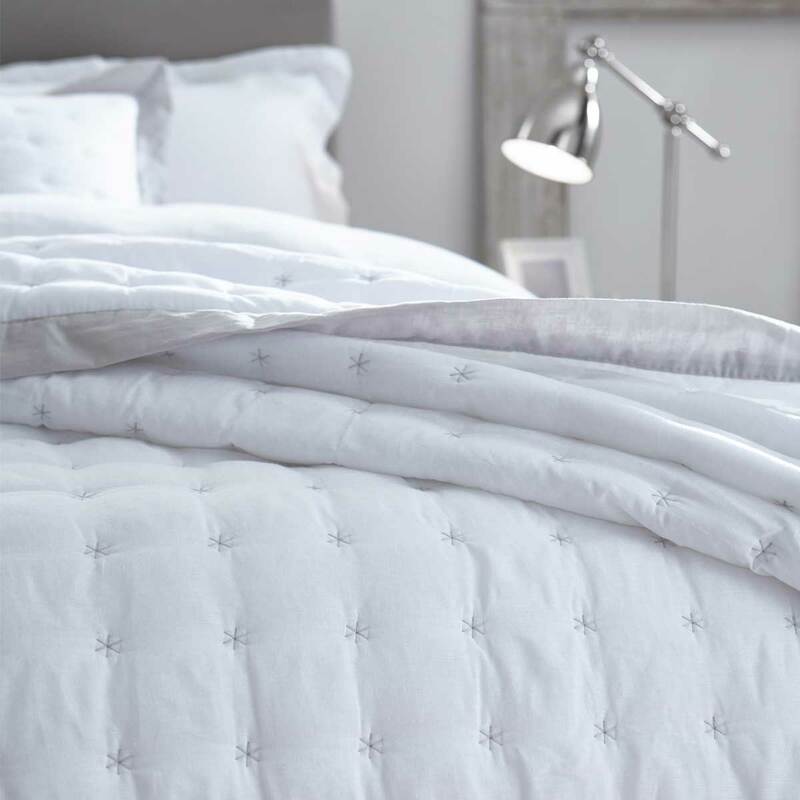 The delicate star stitch work on the crisp white cotton, feature soft linen oxford border and with a durable microfibre backing the Starlet collection is sure to impress. Available in a bedspread size, throw and two sizes of cushions. As a guide, we recommend that a throw is a good size for a double or king size bed and a bedspread is a better fit for a king size and super king bed, but it is personal preference on how much coverage you require to create your desired look.